For the first time, the comfort of my body was not the number one priority in life. 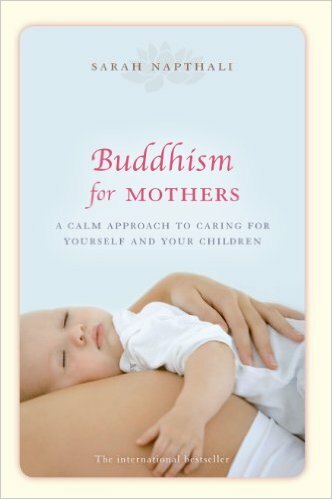 So when window-shopping a week later I saw a book called Buddhism for Mothers by Sarah Napthali, I bought it. At that time, I hadn’t even met my future husband yet. I just had this idea that I needed to read it to one day be a zen mother. The book sat on my bookshelf for years, unread. The first time I actually opened it was ten years later, when my daughter was over a year old. Despite high expectations, it didn’t turn me into a zen mom. You may have a new baby, a sleep-deprived life or the juggle of work and kids… You may have next to no time for meditation but you have every waking second available to cultivate mindfulness. 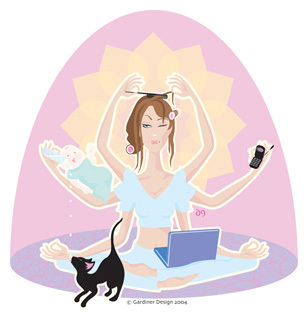 …start by choosing one action we do daily, such as drinking tea, during which to meditate. Yes, if only I was ever able to drink a cup of tea alone. But wait, I am, but I’m to tired to do anything then. As slaves to time, we can live with an obsession for ‘getting stuff done’, for building and achieving. … we end up fitting our children in around our own arrangements and becoming less sensitive to their needs. We can’t enjoy our children because our minds are elsewhere. 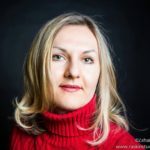 …Once your children are grown, what kind of mother will you have been? How will your children describe you? A martyr? Patient? Crabby? Demanding? Easy-going? …if you want to know your future, look at your present. In my own struggle with restlessness, confined to my living-room, wishing I was elsewhere, I can watch my thoughts settle into well-known patterns. …I think: ‘I’m bored… I don’t feel like going to the park; if only the children were older; I’m tired of all the repetitive housework…’ If I regularly surrendered to these thoughts – which could go on for hours if I let them – I’d start to shape my character into one that is focused on the negative… One surprisingly effective way for me to escape the vortex of self-pity has been to do some mindful yoga stretches. Sitting with my eyes closed and doing nothing is more anxiety-producing and stressful than going about my usual routine. It’s also hard work, harder than a strenuous workout. Perhaps I’m not a mindful person. Or perhaps I go about my daily life in a mindful way without knowing it or meditate when my mind shuts off during a physical workout. But the minute I start thinking “Am I meditating? I must meditate, now”, it’s gone. The idea that I can read a book and become mindful seems like a sham to me. We still live in a Western society and still go about our hectic days. 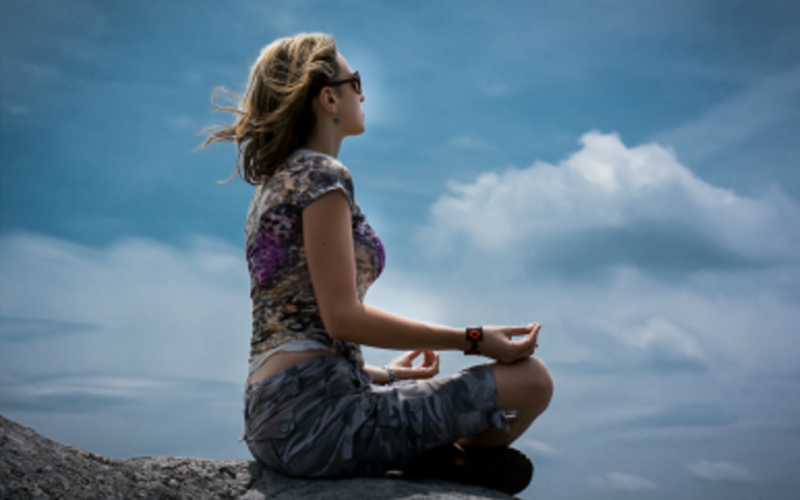 I can’t see how meditating for 5-10 minutes a day changes the larger contexts of our lives. …acknowledge that this mood will pass, that we won’t feel like this for long… we can weather it for now and avoid assigning it any major significance… Seeing each emotion as a visitor (“Hello Boredom, you are here again”) is a valuable reminder that it won’t stay forever.